We are pleased to announce the release of Version 2014 R5 of XtremeDocumentStudio Delphi, the next-generation multi-format document-processing framework for Delphi/C++Builder. 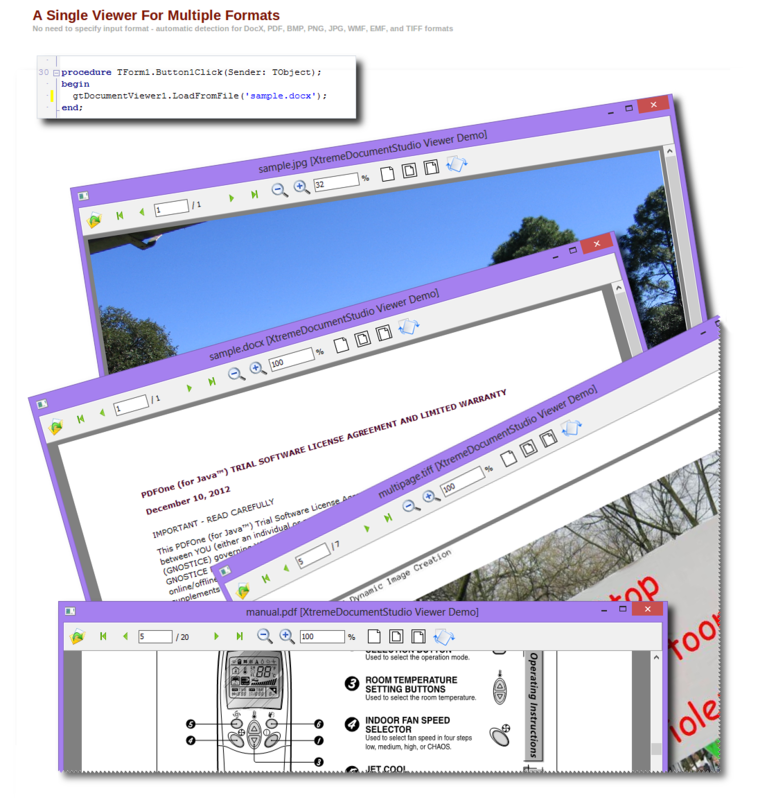 In this release, we have added support for RAD Studio XE7 Update 1, PDF-to-formatted-text conversion, DPI support when converting to images, and PDF rendering enhancements and fixes. Delphi VCL - XE7, XE6, XE5, XE4, XE3, XE2, XE, and 2010, with 32-bit support for all and 64-bit support from XE2. C++Builder VCL - XE7, XE6, XE5, XE4, XE3, XE2, XE, and 2010, with 32-bit support for all and 64-bit support from XE2. * - Only in Ultimate edition as source is required. We are now on a 2-week release cycle and you'll see the technology advancing continually at a good pace. At the same time, we are also integrating relevant improvements we make to the core modules of XtremeDocumentStudio back into PDFtoolkit and eDocEngine. 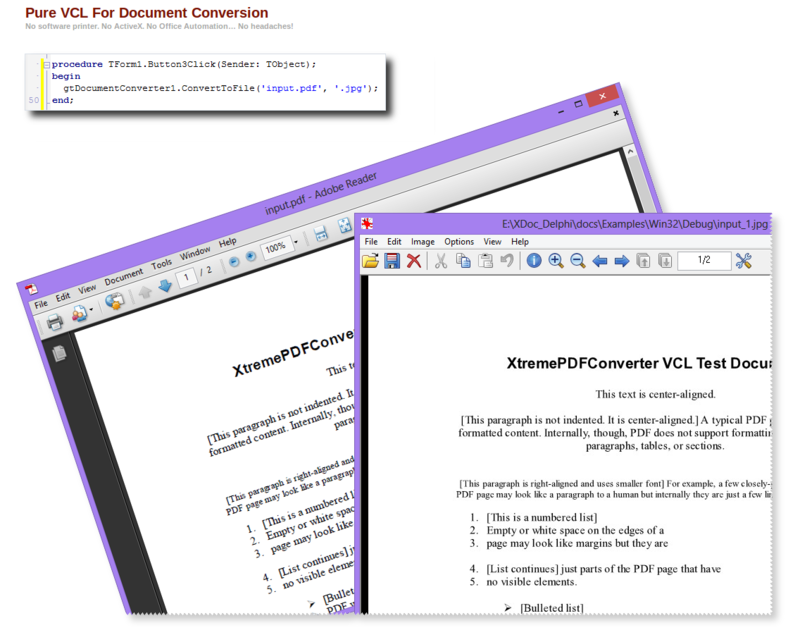 The two recent releases of PDFtoolkit included several fixes and updates which were pending and some of them came from the work we did on XtremeDocumentStudio Delphi. We are pleased to extend the 25% CodeRage 9 discount on XtremeDevSystem Delphi until November 30, 2014. 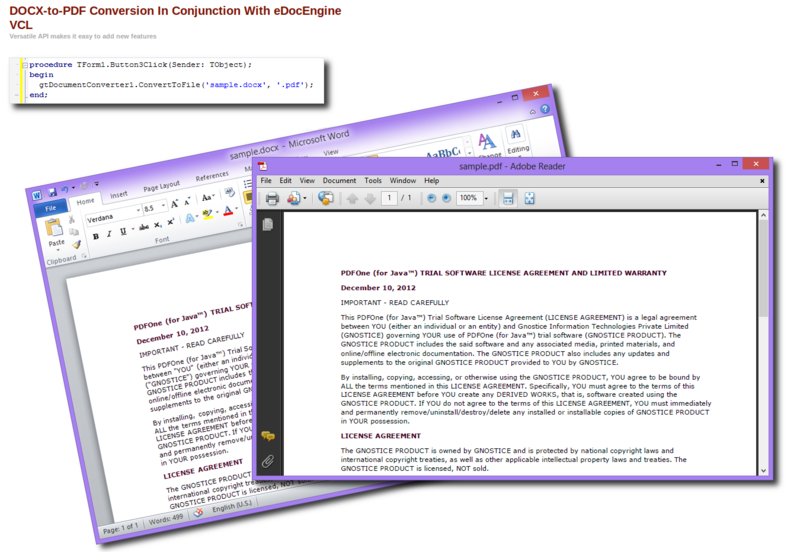 XtremeDevSystem Delphi includes XtremeDocumentStudio Delphi Ultimate (for VCL and FireMonkey), PDFtoolkit VCL, and eDocEngine VCL. Customers with an active subscription for XtremeDevSystem Delphi or XtremeDocumentStudio Delphi get this update free. Customers who have not yet renewed their subscriptions may renew now. Upto 60% discount is available for subscription renewal. For any questions related to XtremeDocumentStudio or other Gnostice products, please contact support at gnostice.com or sales at gnostice.com. support for all and 64-bit support from XE2. products, please contact support at gnostice.com or sales at gnostice.com. Hawk eyes! Thanks for pointing out. We will take care of it. Here it is the 17th of Decemeber.. The original post was made at the end of November, if that's what your post is related to.... Anyway, the discount has been re-introduced after your post. The discount will be valid until December 31, 2014.